Tell me about your old Madison, Wisconsin neighborhood. We rented a house on the west side of Madison. Quiet, friendly, beautiful, playgrounds abounding, with ‘secret’ walking trails that wound behind the houses. We had fantastic neighbors who provided us with babysitters, snow shoveling, playmates and friends. Greeks behind us, Chinese and Russians on either side. I loved it. The neighbors randomly congregated in our backyard, the neighborhood organized events, and it was central to all the places we frequented. And there was Paris. It was the kind of neighborhood I grew up in as a kid, and was so excited to find for my family. 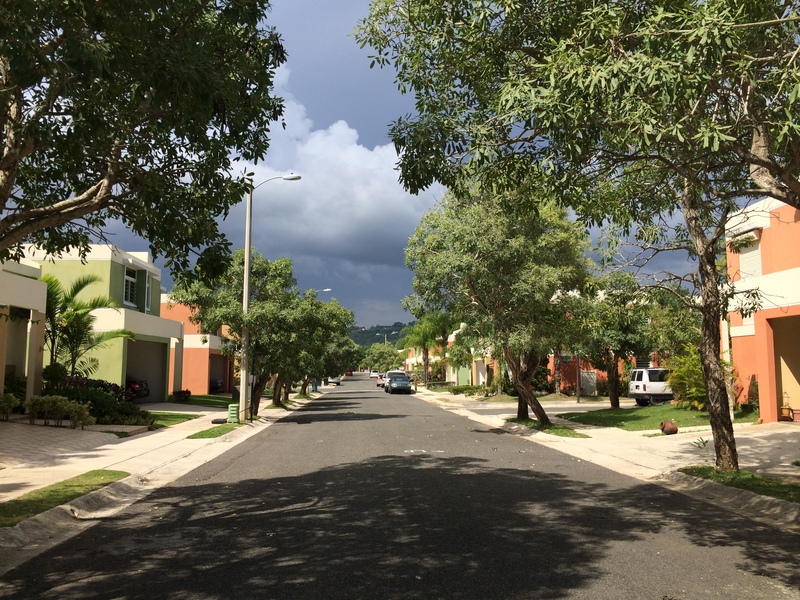 How long have you been in your new Mayaguez, Puerto Rico neighborhood and what’s it like? We moved here just over two months ago. 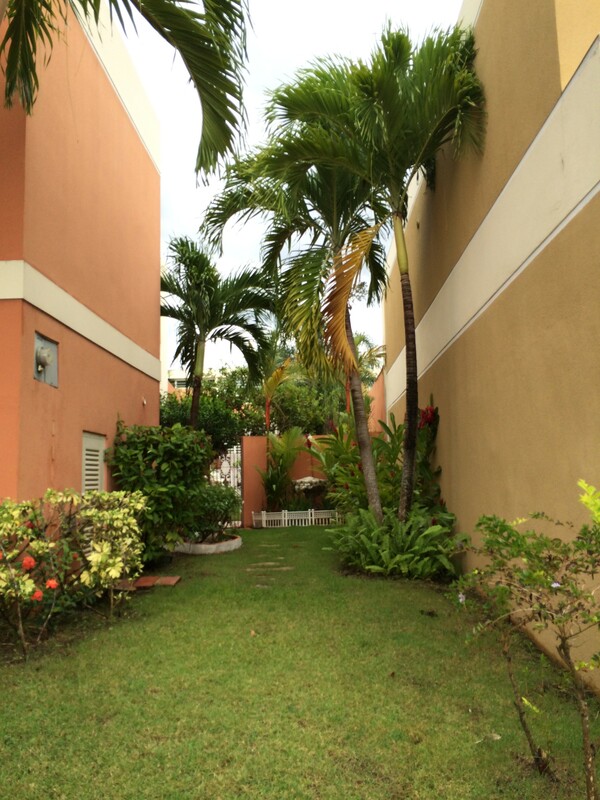 Paraiso de Mayaguez is a gated community. I hadn’t set out to live in a gated community because there are so many connotations! 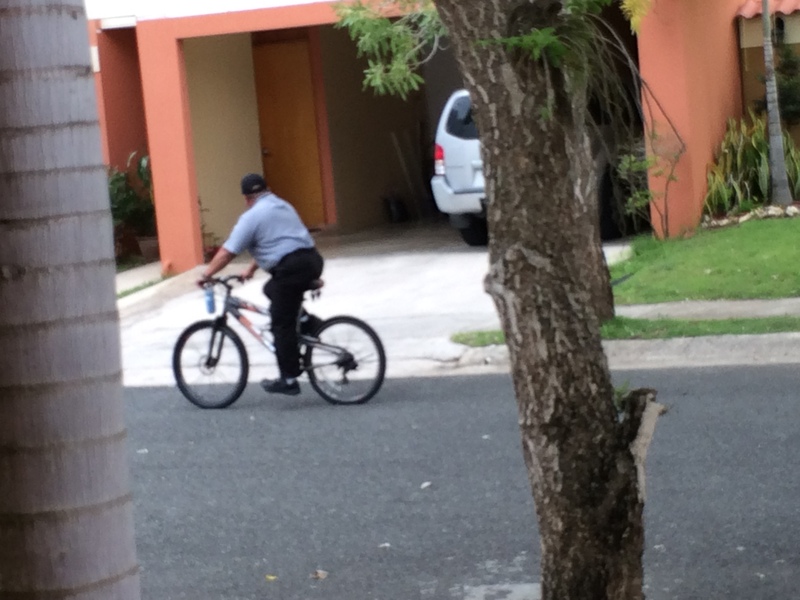 There are pockets in Puerto Rico where gates community = all white expats. But I think we are the only gringos in our neighborhood. And I kinda like that. 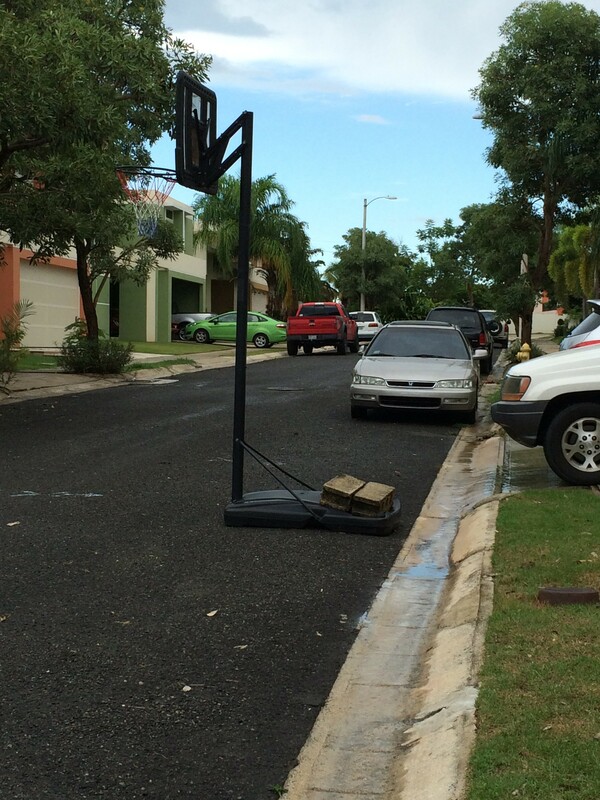 Why not put your basketball hoop in the street? So do we fit in here? I’d say yes and no. We are surrounded by doctors and University professors. Having an online business seems unusual here. As I said, we are the only people from the States here (I think). The houses are all tan, orange or green. That being said, this place has everything I wanted. Sidewalks, community pool (so we don’t have to maintain it and freak out about kids wandering into it), a playground (hard to find around this city), a workout room and a little nature walking path. Score score and score. And every street is a dead end, so there’s very little traffic. And there’s a security dude that rides around on a bike. alright. But the neighbors!! They make this place the best. Since nearly all the backyards are walled in privately, sometimes you have to make an effort to actually move beyond the friendly wave and actually speak to a neighbor in a meaningful conversation. I’ve met 5 neighbors and ALL of them have said in one way or another, “we are here for you” “let us know if you need help” and when one neighbor Ernan asked if we had friends or family around here and I said no, he said, “We are your friends.” I nearly teared up and hugged him right then and there. I used to live on Madison’s west side which generally speaking, was burb-ish without being in the burbs: sprawling lawns, 60s ranch-style homes, parks and paths and schools and all things nice. Personally speaking – OMG – what a great neighborhood! 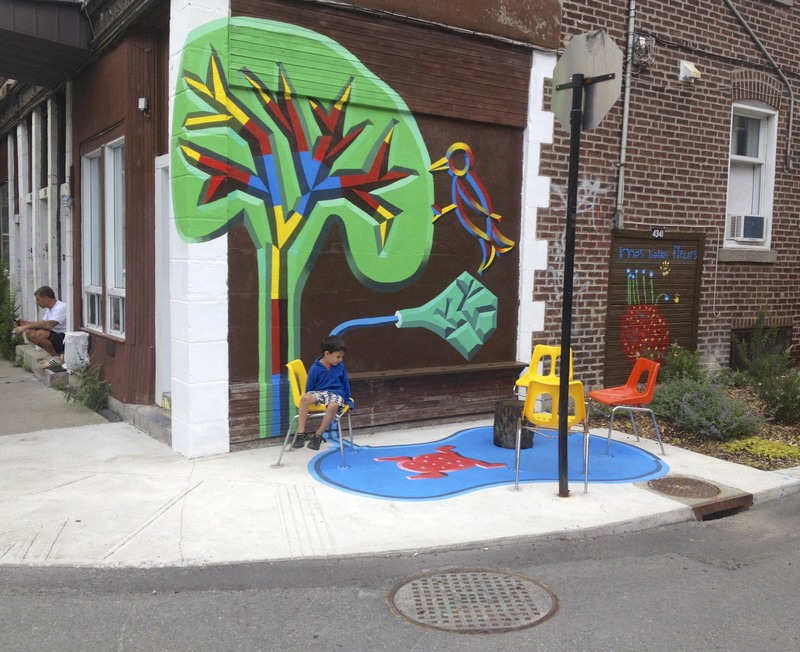 Imagine after-school gatherings on sidewalks, popsicles and beers on front lawns and smiles and support on every corner. It didn’t happen immediately but when it did, it was awesome. 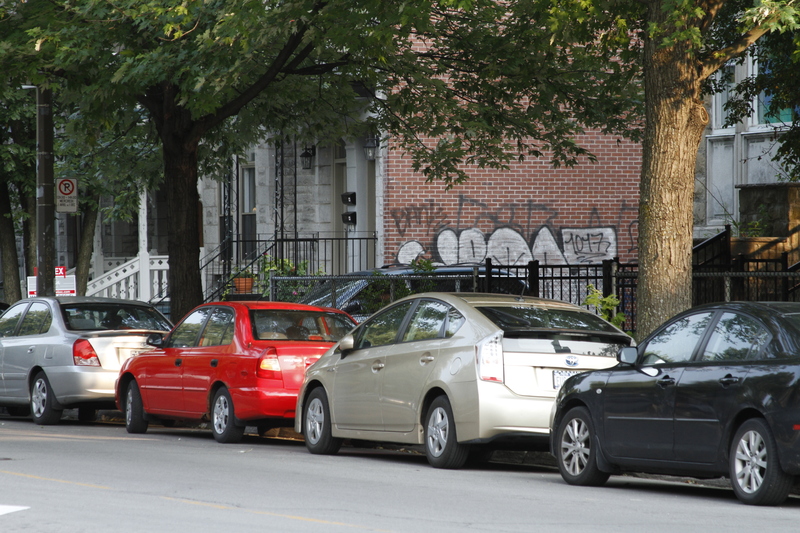 How long have you been in your new Montreal, Quebec neighborhood and what’s it like? Average age of Plateau residents: 34.1 years, the lowest of all boroughs. Number of residents who bike or walk: 33.7% (bike) & 22.1% (walk). 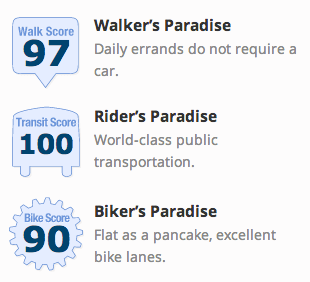 Plateau’ers bike more than any other borough, no big surprise there. Religious beliefs: 39.7% of residents claim to have no religion, the most atheist (or agnostic) region of Montreal. We live in the first floor flat of the red brick building. Graffiti has been washed off twice already. I know one spectacular neighborhood family but otherwise it is still a solitary existence. I don’t see a lot of young children around but that just might be a result of the Canadian childcare system. Or the cold. There are a lot of other folks out and about and I like that; I have always liked that about city-living: something happening and somebody doing it. 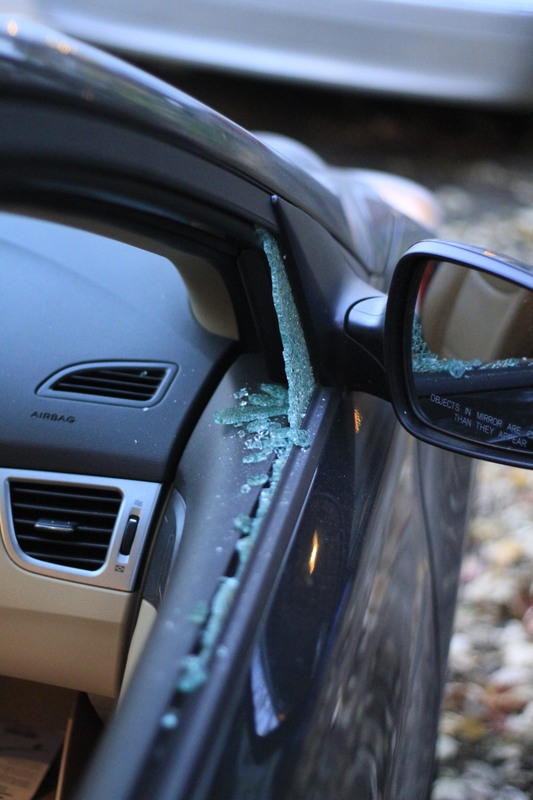 And speaking of somebody doing it, it only took two-and-half-months for our car window to be smashed. The Plateau has her crime and misdemeanors like any neighborhood in a major city. I hear there are more family-friendly neighborhoods; in fact just the other day a woman said to me “Oh? You like the Plateau even with children?” but we are home for now. These bobos have a new nest. Arlo takes a break on Rue Marie-Anne. This entry was posted in Uncategorized and tagged crime, ex-pat, gated community, graffiti, Madison, Mayaguez, Montreal, neighbors, parenthood, Plateau, security. Bookmark the permalink.